Grand Theft Auto San Andreas hits iPhone, iPad & iPod- coming on Android soon! 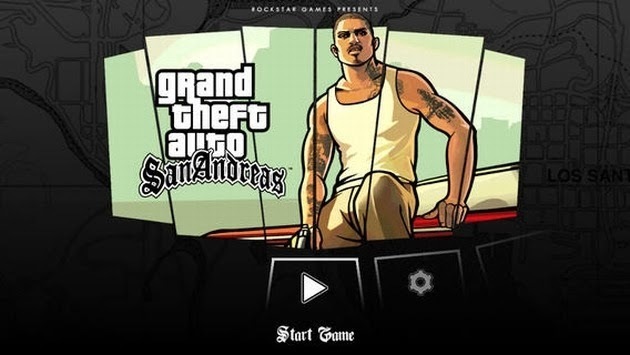 Rockstar gave us a surprise by launcher Grand Theft Auto (GTA) San Andreas for iPhone and iPad users. The game was released yesterday but was announced in November 2013. First, we thought that Rockstar Games are just kidding to us because GTA SanAndreas even lagged in some computers so how could it run on our iDevices? The game is shrinked and has been optimized to 1.63 GB which is quite less in size. We expected the game size to be more than 3GB. Gta: San Andreas is an open-planet amusement that envelops the fictional territories of Los Santos, San Fierro, Las Venturas etc. The 3-D games incorporates remastered representation with upgraded shadows, a bigger draw separation, and a wealthier shade palette, on top of improved character and auto models. The game was available only for computers and other game consoles till December 10 but now, as the title says, it's also for iOS. Enhanced for the iPhone 5 series and iPad 4th Gen and above with dynamic detailed shadows and real-time environmental reflections. Physical controller support for all Made-for-iOS controllers. Cloud save support for playing across all your iOS devices for Rockstar Social Club Members. and supports most some of the languages like: English, French, Italian, German, Spanish, Russian and Japanese. The Game is only for $6.99 or Rs. 434. You can buy this application from Apple App Store today. Does micromax a110 canvas 2 can run this game? No! I don't think that Canvas 2 will run this game because it MIGHT require high specifications but you MIGHT give a shot!